Today is the first day of the Lunar New Year. Wishing all Chinese, Vietnamese, and other people groups in the world that celebrate the Lunar New Year a very Blessed and Prosperous New Year. The picture is a street vendor in Chinatown that is selling decorations. 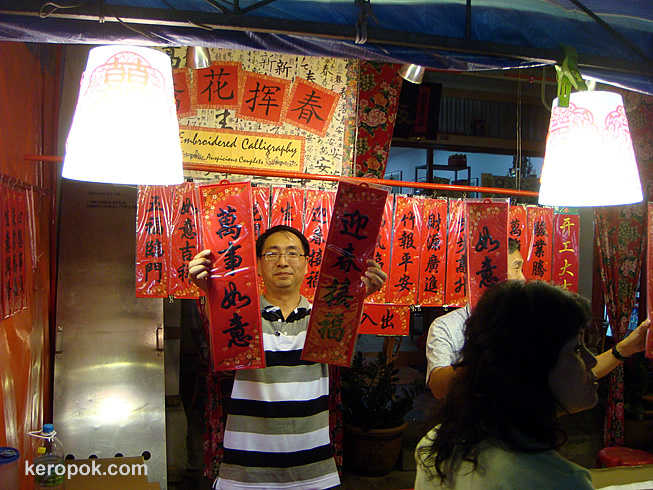 The man is selling poetic wordings or greetings for the new year in Chinese calligraphy.